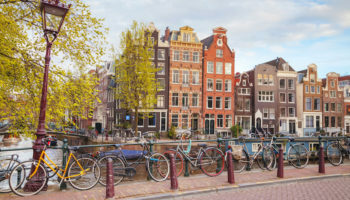 Known all over the world as the old Dutch city laced with canals and rich in artistic history, Amsterdam is a great city to explore on foot as well as on two wheels. The main center is compact with most of the top sites within just a ten minute stroll away from each other. Laden with unique architecture, the center of the city around the canal belt is quaint and picturesque with interesting doorways and waterside cafes enticing visitors to sit and take in the life of the city. Further out interesting design combines with the practicality of everyday life, and there are some fantastic markets, eateries and parks to discover. The places to stay in Amsterdam’s are exciting and always interesting. You could choose to stay in old converted canalside houses, on luxury river boats, sleek boutique hotels, or in world-class 5 star mansions. 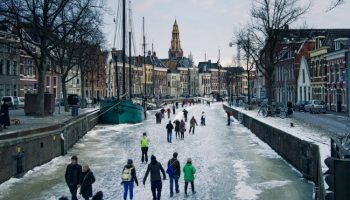 If you are a budget backpacker there are a whole load of hostels for you to lay your head, or even if you are a couple on your honeymoon looking for some romantic seclusion, Amsterdam hotels are often design-led and trendy. 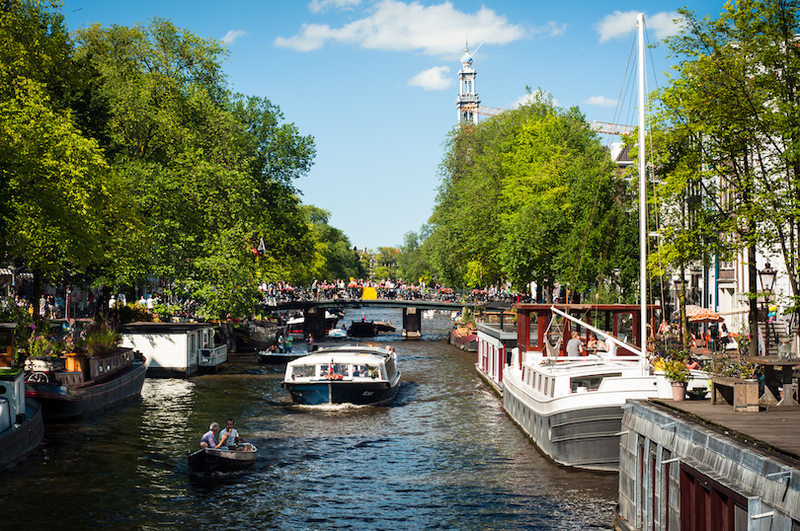 With something for everyone, it’s time to book your trip to the Venice of the North, Amsterdam. The Binnenstad is the central neighborhood of Amsterdam in the Centrum district; here is where main sights can be found, such at the Basilica of St. Nicholas, the Portuguese Synagogue, and Dam Square. 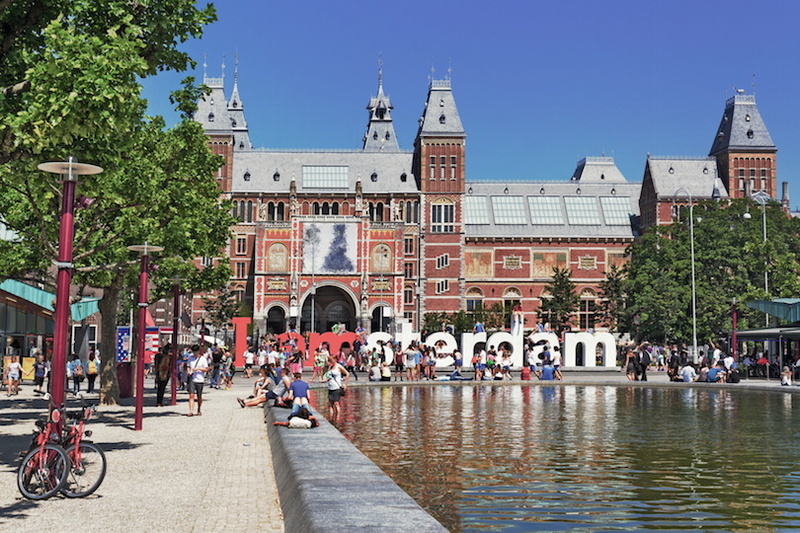 A great base for your Amsterdam adventures and with easy access to transport links, as the main transport hub in the city, the Amsterdam Centraal station, is located here. From the central station you can jump on a train and travel all over Holland as well as other European countries. The main tram hub is also located in the station, as well as the bus terminal, making traversing the city on public transport easy. There are a whole range of hotels in the Centrum area – from lower-end, budget accommodation to luxury high-end hotels, all nestled among a mass of restaurants, bars and cafes serving up delicious food and drink to locals and tourists. Because it is in the center of the city there are more vehicles on the roads here compared to other parts of Amsterdam, but still a low amount when compared to other cities. 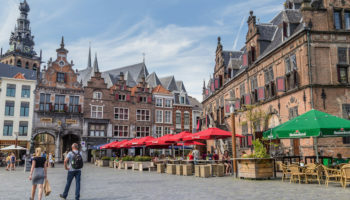 If you don’t mind putting up with the crowds, you should think about choosing the Binnenstad Centrum area for you stay. Grand Hotel Krasnapolsky – Right on the edge of Dam Square, opposite the Royal Palace, this 5-star hotel is situated in a beautiful 19th-century building. Needless to say, the views from the Grand Hotel Krasnapolsky are wonderful. It overlooks the square and the palace. The rooms are modern and stylish, with fresh, contemporary interiors. The beds are large and comfortable, too. The Grand Central Station is a 15-minute walk from here, but it’s also very well connected thanks to several tram lines nearby. 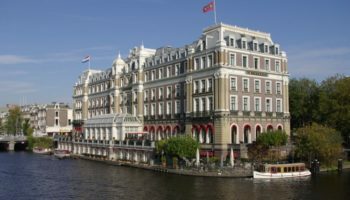 Park Plaza Victoria Amsterdam – This hotel is an opulent choice that’s housed in a truly stunning historical slice of architecture. Located opposite Amsterdam’s Grand Central Station, it’s a good option in terms of being conveniently positioned. Interiors at this hotel are all about a warm color palette. There’s a lot of amenities to help make your stay as comfortable and fun as possible, including a swimming pool, a gym, a bar, and a restaurant. American Hotel Amsterdam – Set inside a listed monument, the American Hotel Amsterdam is quite literally part of the city’s heritage. Built in 1900, the Art Deco interiors have been lovingly updated for a definitive cross between Old World opulence and contemporary cool, based on the ‘Roaring Twenties’. Rooms at the hotel are spacious, clean, and provide a calm environment away from the busy city streets. You’ll also get to eat some delicious dishes at the onsite Cafe Americane. It’s right next door to the Leidersplein and the DeLaMar Theatre. WestCord City Centre Hotel – This 3-star hotel is a good option for those who want a central location without having to stay in a luxury, historic building. Very clean, well maintained, and with staff who work hard to make sure guests feel welcome and comfortable, this hotel is all about its contemporary interiors. Think simple, cozy rooms with modern decor, TVs, and desks. There’s a spacious lobby decorated with Amsterdam-inspired art. 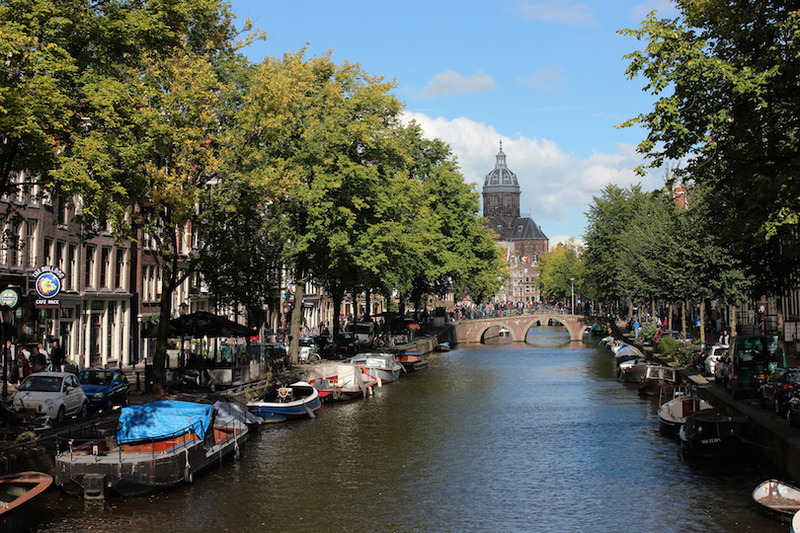 It’s easy to stroll along the canals to Dam Square or Anne Frank’s House from here. Grachtengordel in English means ‘The Canal District’ and it really lives up to its name. The famous old canals slowly make their way through the picturesque 17th century old center where waterside accommodation offers a peaceful retreat from the city. Parts of the canal ring are on the rise and trendy hotels such as the Waldorf Astoria have opened up their doors here in recent years. 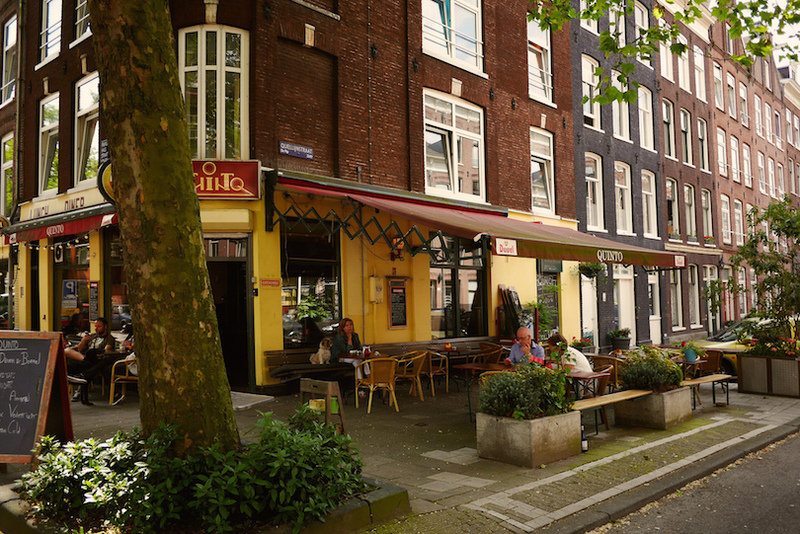 There are still budget options in the area: the cheapest places to stay are along the busy Raadhuisstraat. Stylish boutique hotels along the canal are also very attractive for tourists to stay in and at certain times of the year rooms can be booked for very reasonable rates. 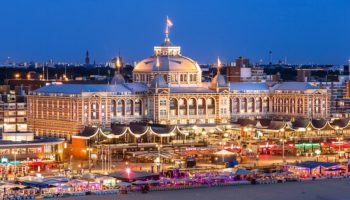 This is a great location if you are into nightlife, as the area has a whole host of bars, clubs and delicious dining options around the Leidseplein and Rembrandtplein areas. If you are in Amsterdam to hit up the shops then you won’t be disappointed – the area has a whole host of quirky shops and big stores for you to shop to you drop in. Public transport is easy to use around here, but most places in this compact city are easily walkable. Andaz Amsterdam Prinsengracht – This is a boutique hotel which really focuses on its heritage. It’s a former library building that’s been renovated by a Dutch designer, based on the history of the Netherlands. Throughout, you’ll find quirky sculptures, avant-garde gardens, and modern art for an eye-catching place to stay. The rooms are overflowing with character and feature bold, statement pieces of art. There’s an onsite restaurant serving seasonal dishes, as well as a cocktail bar with views of the canal. Eden Rembrandt Square Hotel – This hotel features a wide selection of rooms; guests can choose between a standard room and an apartment with its own kitchen and lounge, amongst other options. All rooms feature high-end furnishings and decor. There’s a hotel bar and restaurant, which serves up a tasty breakfast buffet each morning. Location-wise, you’ll find the Eden Rembrandt Square Hotel surrounded by shops and eateries, plus the Dutch National Opera and Ballet is nearby. Hotel Sebastians – Situated on a quiet canal just meters from Anne Frank’s House, this boutique style hotel features a variety of rooms decorated with different styles in mind. Set over three repurposed Dutch townhouses, there’s a sense of really being in the city when you stay at this warm, friendly place. Some rooms even feature views of the canal. At Hotel Sebastians, you’ll find a cozy bar where you can wind down in the evening after a busy day of sightseeing. Just a quick tram ride away from the central station is the metropolitan and culture-laden De Pijp with its long, thin streets and melting pot of inhabitants. 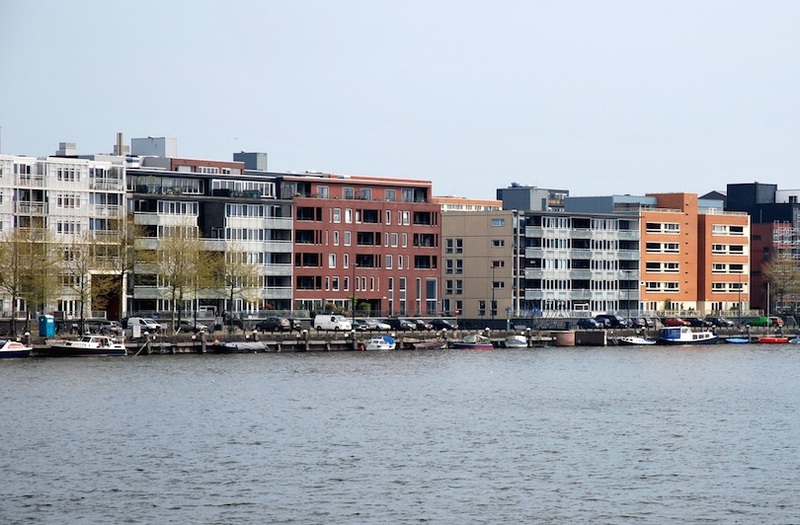 The district used to be the working class area, overflowing with people and life the area was home to some famous locals such as De Haan and novelist Bordewijk. 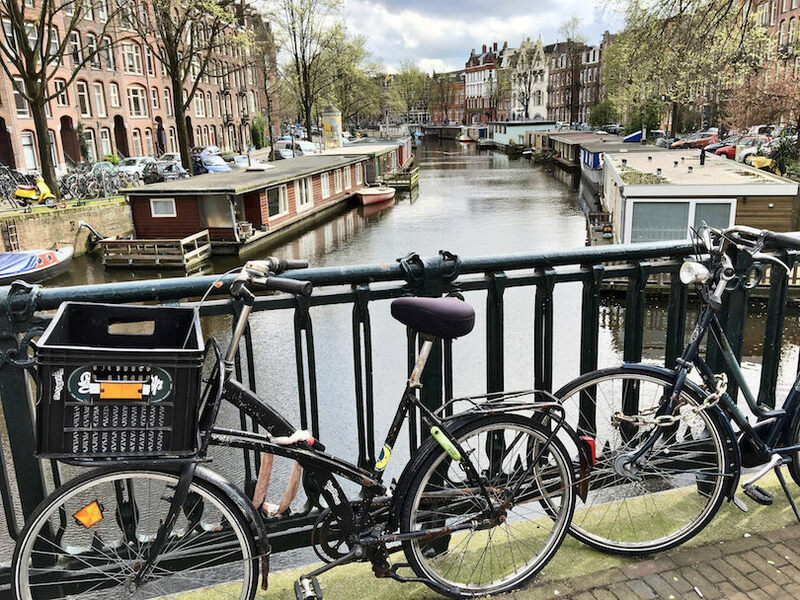 In recent years house prices in the area have ballooned as it has become the desirable place to live; many boho families, couples, students, old and young have all chosen to reside among the vibrant canals of De Pijp and it’s not hard to see why. The neighborhood is now overflowing with coffee shops and cafes, many of which serving food from places like Morocco and Syria. The Albert Cuyp Market, with over 100 shops is a must see, and pubs here are ubiquitous. If you want to stay somewhere in Amsterdam packed full of culture and cuisine De Pijp, as in may places in the city, has fantastic transport links and a range of affordable accommodation. Hotel Okura Amsterdam – Spread over 23 floors with four restaurants offering high-class dining, as well as a gym, spa, and pool, this high-rise hotel offers a real world of luxury and 5-star service. Some of those restaurants are actually Michelin starred. The entire hotel has been designed with a clean, Japanese aesthetic in mind. As you’d expect, there are fantastic city views from many of the well-designed rooms here. Sir Albert Hotel – With elegant interiors inspired by various art movements, the rooms at this 4-star hotel are decidedly cool. It’s a design-based boutique hotel set in a former diamond factory! In its library and study, guests can enjoy cozying up to the fire. Elsewhere, at its very own Asian Kitchen and Bar, guests can tuck into Japanese dishes. There’s a tram stop 300 meters away from the hotel’s front door, plus this hotel is very close to Museum Square and the Rijksmuseum. ibis Styles Amsterdam Amstel – This branch of Ibis is set inside a Dutch townhouse overlooking a canal. It’s been renovated with modern comforts in mind and features pop-art pieces on the wall, splashes of color and clean lines. There’s a continental breakfast served up each morning, plus a huge array of cafes, restaurants, and bars surrounding the hotel. Getting around is easy; there’s a tram stop just a few steps away. The infamous Heineken Experience is very close, as is the Albert Cuyp Market. Many young professionals now live in Jordaan and staying here will mean you are living with the locals away from the main tourist sites. 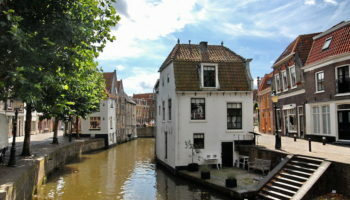 Jordaan is famous for its picturesque houses, delicious restaurants and quaint shopping. Take a walk along the canal, cross the little bridges and wander through the small streets: this is Amsterdam at its most picture perfect. There are many markets that take place in the quarter – a flea market selling Dutch delights takes place on Monday, and on the weekend fresh food can be found at Noordermarkt. Hotels in the area are very cool; if you fancy staying in a converted art gallery or perhaps in an old train depot then Jordaan is the place for you. 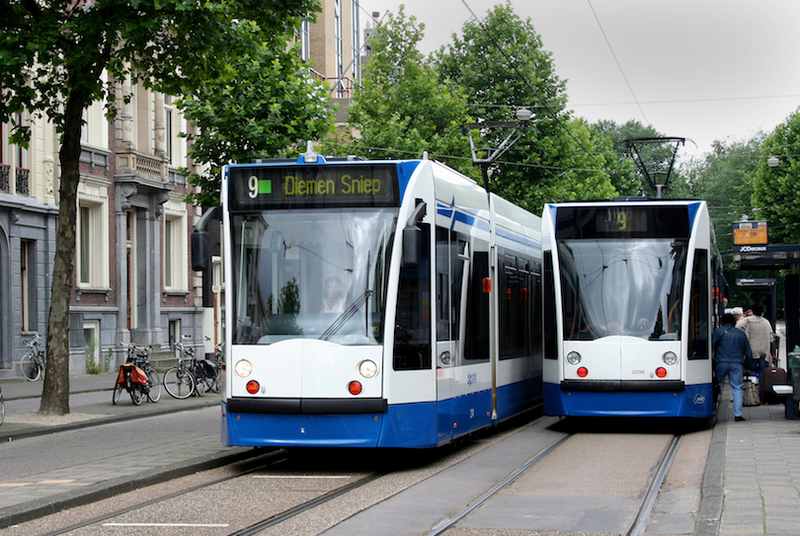 The most popular streets in the area are the Westerstraat, Haarlemmerstraat, Prinsengracht, and the 9 Straatjes area, and all are well connected by the city’s tram and bus network. Linden Hotel – Newly renovated, this 3-star hotel is housed in a thin wedge of a building that dates back to the 1870s. Compact but with clever uses of space, the Linden Hotel is decorated in a simple, modern style mixed with classic features. The rooms may be cozy but they certainly are well appointed. Snacks and hot drinks are available all day in the breakfast room. Hotel Il Fiore – Hotel Il Fiore features simple but comfortable rooms that are kept clean. Rooms on the top floor have slanted ceilings, wood beams, and wooden floors. The underfloor heating is a definite plus. Some rooms even come with a small balcony. In the communal areas, there’s a sense of understated cool, with exposed brick walls and sleek modern furnishings. A rustic onsite restaurant serves Italian cuisine. 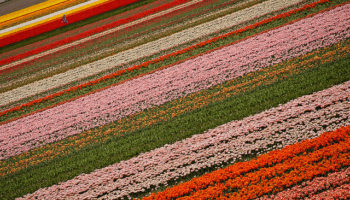 Nearby sights abound, including the Noordermarkt, West-Indisch Huis and Anne Frank’s House. If a quiet leafy streets and a local community is what you are after then this is the district for you. Plantage and the East area are mainly residential but are still well connected by tram stops, making getting to the big tourist attractions around Amsterdam easier. 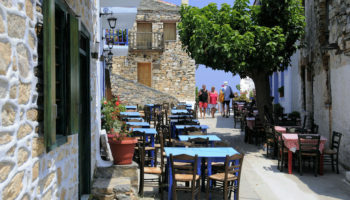 The area is laid back and offers nature and culture in the center of the city. There are many green open spaces to stroll through and relaxing canals with plenty of waterside coffee shops to sit and soak up the nature. Attractions in the district include the new public square which is a great spot for families to hang out in as it is right next to the zoo and the lush botanic gardens. Accommodation in the area is often well designed and ranges from large, well established waterside hotels, to modern design based guesthouses. Hyatt Regency Amsterdam Hotel – This iteration of the Hyatt in Amsterdam is design-oriented. A definitive slice of 5-star luxury, there are large, comfortable spaces for guests to enjoy, all decorated with swish furnishings and stylish color palettes. Amenities include a gym, a terrace, and a bar. The rooms are exquisitely elegant and boast large, modern paintings, good views, and cool, contemporary furniture. The Dutch National Opera and Ballet, as well as the Heineken Experience, are very close by. Hotel V Fizeaustraat – With eclectic, retro furniture, beautiful wooden floors, and clean, fashionable aesthetics, this hotel lives by the motto “from Amsterdam with love.” With a whole lot of heart, guests can really enjoy their stay in the city. There’s a lively lobby area at this chic 4-star hotel, plus a restaurant, a bar, and a sun terrace. 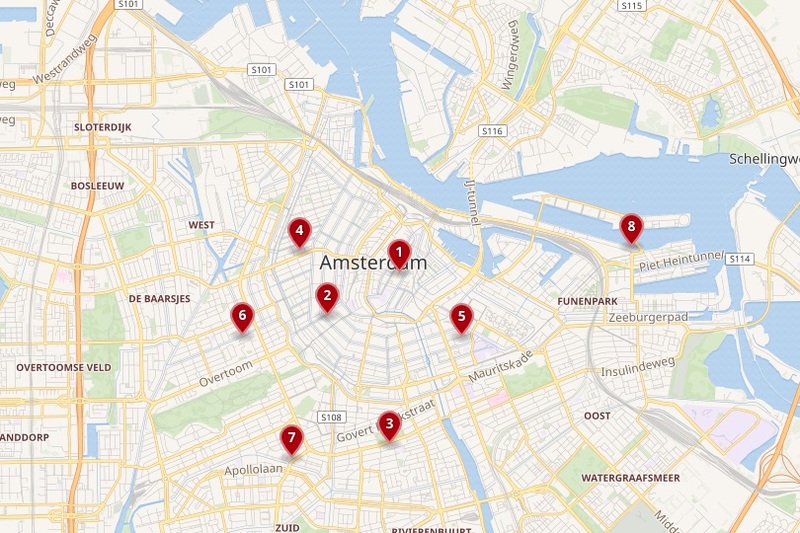 You can hire bikes to explore the city like a true Amsterdammer. The Manor Amsterdam – This 4-star hotel is set inside a former 19th-century hospital. Aside from being an exquisite example of historic architecture both inside and out, it’s been repurposed with modern comforts and contemporary design in mind. Guests can enjoy the large grounds of the hotel. The location means you’ll be able to easily reach the Trupen Museum, as well as the lovely Oosterpark Amsterdam, but there are plenty of places to eat and drink surrounding The Manor. Still a local, family-friendly area, Oud West has started to become a little busier in recent years and a younger, more urban set of residents have started moving in. If you want to be in easy walking distance of the city center as well as wanting to soak up local life Oud West it the place to stay. 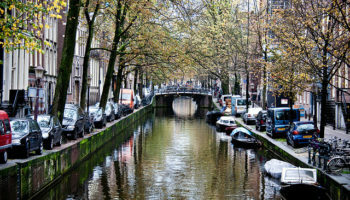 Jordaan, 9 Straatjes, and the Anne Frank Museum are all in walking distance along with so many other top sites. The food on offer in the quarter’s converted old buildings is delicious; get yourself down to the De Foodhallen, where you can sample a whole range of cuisine from Vietnamese to Italian, and then wash it all down at the gin bar. The accommodation in the area is local and very affordable, guest houses and rental apartments are big but there also so mid-range hotels for you to choose from. Hotel Vondel Amsterdam – A boutique hotel housed in a historic building, rooms at Hotel Vondel Amsterdam are warm and feature wooden beams, comfy beds, and carpets. You can enjoy international cuisine as well as Dutch fare in the spacious, tastefully decorated dining room. Elsewhere, there’s a garden to unwind in. 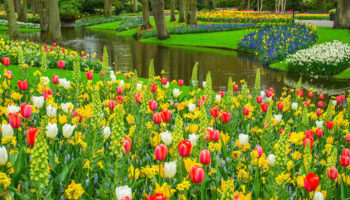 The hotel is very close to the sprawling Vondelpark and the Van Gogh Museum is just a stone’s throw away. Conscious Hotel Vondelpark – As you may have been able to tell from the name, this hotel is eco-friendly. The mindset has affected all parts of the hotel – from the desks made out of recycled yogurt pots to the towels made using ethically sourced cotton, as well as the water-saving shower heads. Every morning, the hotel serves a 100% organic breakfast buffet based on seasonal produce. Set inside a former industrial building, it’s located just steps from Vondelpark itself, plus it’s close to two tram stops. Quiet, upmarket Oud Zuid is the perfect area for exploring Amsterdam’s many museums which attract tourists from all over the world to stay here. The long, tree-lined boulevards offer shade to those walking by, gazing at the beautiful old grand mansions with colorful doors. 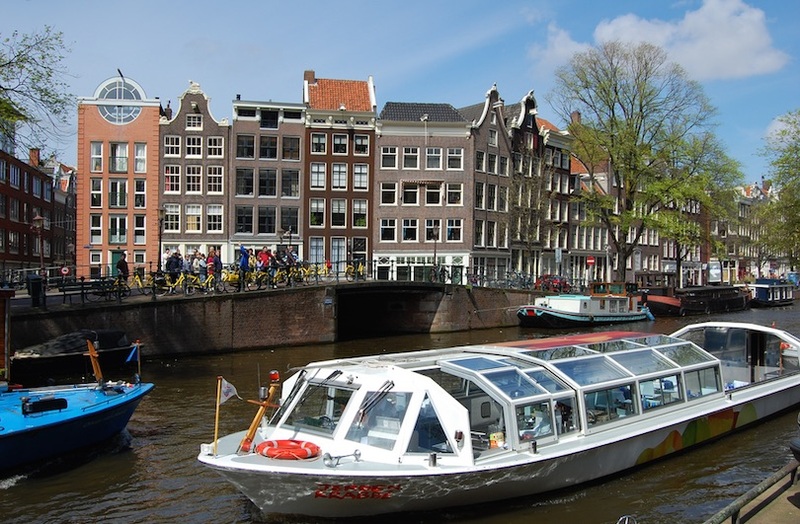 The area is more upscale than many others in Amsterdam and the restaurants and more expensive, but this means the streets are quieter and the nightlife less lively, which makes it a great base for your trip to the city if you have children. Vondelpark is nearby and is usually busy with groups of families and friends enjoying picnics together in the summer weather. This is also the district for designer shopping where the big label brands sell their wares for big price tags. 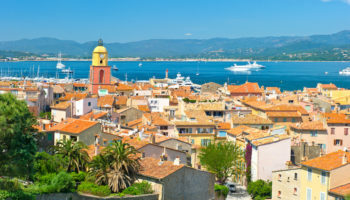 Affordable accommodation can be found in the area, but many of the hotels are luxury and a good fit for those with bigger budgets. Transport links for the tram and bus are easy to find in Oud Zuid, but then again, you can always go by bike or walk the main sites. Hotel TWENTY EIGHT – This unique Amsterdam accommodation is a collection of funky and fashionable studios and apartments. Each one comes with a kitchen, a seating area, and a luxurious bathroom with a rain shower. The hotel serves a breakfast buffet. Other communal spaces include a coworking space, shared lounge, and a bar. In terms of location, there’s a metro station right opposite this 4-star aparthotel. Bilderberg Hotel Jan Luyken – This hotel is set in a wonderful 19th-century mansion, where the decor combines the original, ornate, heritage features with modern comforts. The rooms themselves are stylish with big windows and tiled bathrooms. There’s a warm and spacious hotel lounge, as well as a wellness room for guests to enjoy. Located in a calm street that’s just a stone’s throw from chic boutiques and restaurants, it’s just around the corner from the Van Gogh Museum – plus within walking distance of Museum Square. The Eastern Docklands, an up-and-coming district in the city, was once where the city’s ports and warehouses could be found. The area attracted artists and squatters as the buildings along the ports fell into disrepair. 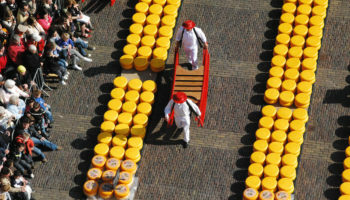 Nowadays the area has developed to become a quirky mix of culture, eccentricity and local life and now stands as a fantastic example of urban design and creativity in Holland. The Eastern Docklands are connected by trams that run to major sights in the city, including the Central Station, so getting to other districts is simple. There are many hotels to choose from in the district, which is interesting to explore in its own right. Traveling around on bicycle is the best way to see what is on offer; pedal through the district’s intriguing streets and explore converted 19th-century brick warehouses, now home to restaurants, nightclubs, creative spaces and cultural centers. Hotel Jakarta Amsterdam – A sprawling, glass-clad hotel reflecting the industrial landscape of the Docklands themselves, this 4-star offering is designed with Indonesian aesthetics in mind. Think polished concrete, wooden walls, houseplants, and minimalist style. Rooms are warm, with large windows to let in plenty of light. The lobby is spacious and features curving wood, tropical plants and a lot of light for an inside-outside feeling. Located where the boats used to leave for Jakarta, the Maritime Museum Amsterdam and Library Amsterdam are also close by.